Forum 55 opened in the fall of 2017 in the heart of Chicago’s Loop, steps from Millennium Park. 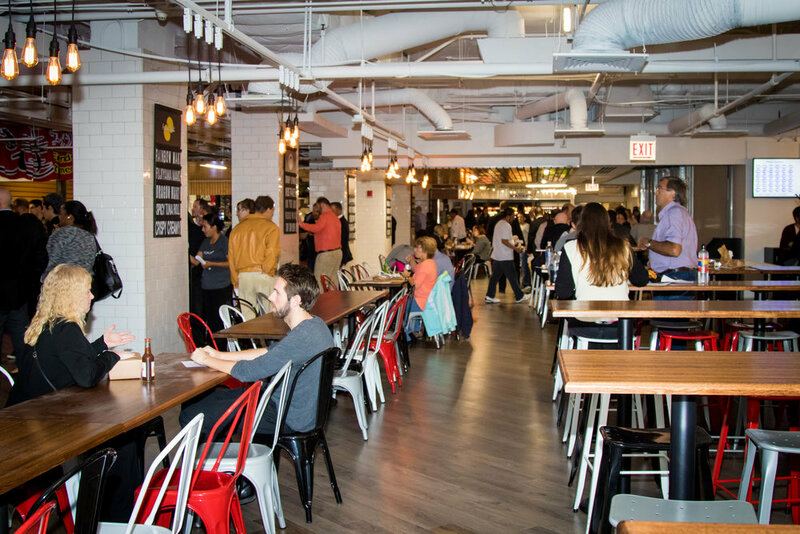 Operated by Compass Group/Eurest Division, the 10,000-square-foot food hall is a food lover’s emporium with six fast-casual stalls from some of Chicago’s favorite chefs and restaurants, a grab-and-go marketplace and one the largest salad bars in the city, stocked with produce from Midwestern farmers. Convenient online ordering and digital order-and-pay kiosks mean less time waiting, more time eating. Two incubator programs at Forum 55, Apron Exchange and FOODWORKS, support women- and minority-owned food startups and neighborhood restaurants by offering them space on a rotating basis to introduce their products and menus to guests. Forum 55 is open Monday through Friday for breakfast, lunch and midday noshing.